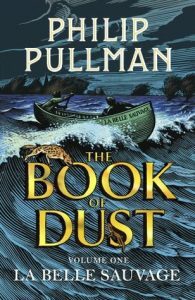 I couldn’t believe my eyes when I read a couple of years ago that Philip Pullman would be continuing Lyra and Pan’s story with The Book of Dust. His Dark Materials was one of my favourite series growing up, so I was cautiously optimistic approaching this novel. On one hand, I couldn’t wait to re-visit this world and read of a new adventure, but on the other I was naturally worried it could ruin my childhood memories if done poorly. But after years of waiting it’s finally here, and it’s good! It’s not quite at the same level as Lyra’s adventures in the Arctic, but it does tell a solid tale and sets a very promising standard for the following books in the Dust trilogy. La Belle Sauvage begins with Malcolm, an intelligent but rather ordinary and uninteresting boy that resides in the world we know as Lyra’s Oxford. He works for his mum and dad at their family inn after school hours and also lends a hand to the local nuns doing odd jobs, like ferrying them up and down the Thames in his boat, La Belle Sauvage. Malcolm is a good and earnest boy, but through a succession of interlaced encounters he winds up in the middle of a custody battle for a baby girl called Lyra. Lyra is currently in the care of the nuns he helps, which Malcolm learns is keep her safe from the Consistorial Court of Discipline, agents of the Church who are searching for the child after hearing of a witches’ prophecy regarding her fate. Being an only child, Malcolm quickly becomes smitten with the little girl and protective of her wellbeing. When a monstrous flood hits Oxford he enlists the help of Alice, a girl who works at the family inn, to help keep Lyra out of enemies’ reach in his boat and deliver her to a safe house. La Belle Sauvage showcases that familial storytelling ease which Pullman possesses. It begins at a slow pace, but is by no means boring or laboured. In contrast, the ending rushes headfirst into the action, a reflection on both the emotional and physical states of the main characters that complements the intensity of the final few chapters. There are some pleasantly surprising fantasy elements spliced in as the floodwaters rise, and it’s refreshing to see that Pullman’s imagination stretches beyond the witches, cliff-ghasts and armoured bears he’s wrote of in the past. The original trilogy did cover serious themes such as separating soul from body, death and war, but this spin-off is moderately more adult, featuring some harsher language and a particularly disturbing and abusive new character. I wouldn’t recommend this story for children due to this, but teenagers should fare fine. There are a few familiar names that crop up which tickle the fancy of old fans like myself, like Lord Asriel and Mrs Coulter, of course. A younger Farder Coram appears briefly as a gyptian man who warns Malcolm of the approaching flood. 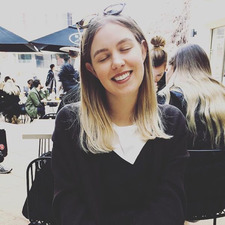 Some may recognise Dr Hannah Relph too, the future Dame of St Sophia’s, and it might surprise others to learn this is not Malcolm’s first mention on paper either. Philip Pullman described this book as neither a prequel nor a sequel, but an ‘equel’. This is true in the sense that I think a new reader could happily pick up The Book of Dust volume one without any knowledge from Pullman’s previous works and be enthralled with his world. On the contrary, I found it was my own familiarity that hampered my enjoyment of the book and left me feeling I had just read, by the very definition, a prequel. It was a sweet and interesting tale, but it was not particularly enlightening. I already knew the basic history of Lyra’s birth, why she was not raised by her parents and where she eventually wound up calling home. I gained no further insights into the original characters of the series by finishing this book, nor on the ambitious topics Pullman loves to tackle (Dust is only mentioned fleetingly). I can only hope that some of these characters, events or themes will become important later in this series, of which volume two, The Secret Commonwealth, has been confirmed to focus on Lyra as a twenty-one year old undergraduate. This already sounds infinitely more interesting. Bring on feisty Lyra as a grown, educated woman! Kerry is a raging bibliophile from Melbourne, Australia. When she’s not reading she loves hanging out with her dog and eating vegan snacks. If you enjoyed Kerry’s review of La Belle Sauvage, check out her page on Goodreads!